Whether you and your spouse are considering divorce or in the midst of the proceedings, there are a lot of factors to consider, and everything from new housing to holiday dynamics are likely to be on your mind. In addition to these issues, it is also essential to consider the needs of your children both during and after the divorce, and in today’s blog, we’ll review a few specific needs that should be placed at the forefront. A well-qualified divorce attorney can be very helpful as you navigate the waters of divorce to ensure that you and your children’s best interests are looked after. At the Dorris Law Group, we can provide you with the aggressive representation necessary to ensure the best possible outcome for your divorce case. Call us at 520-622-4866 today to request a free consultation. When parents are getting a divorce, it is essential that they keep the needs of their children in mind at all times. Below, we’ve listed a few of the most important considerations for the health and wellbeing of your children. During a divorce, it can be easy for parents to focus on their own needs, however, as a parent, you have the responsibility of making sure that your child’s physical and emotional needs are met. This is particularly important if emotional or physical abuse was the catalyst for the divorce. If you have concerns about the safety of your children during the divorce proceedings, or you fear that joint custody could result in physical or emotional harm coming to your children, seeking counsel from a reputable divorce attorney is essential to ensure the needs of your children are met. Prior to a separation or divorce, many families have a daily structure and routine that children rely on to feel secure in their family dynamic. Likewise, when both parents are living in the home, children are likely to feel an innate sense of worth and approval from both parents. Once a family divides, however, much of this structure and approval can be thrown into a tailspin. It may be necessary to rely on a mediator to facilitate conversations between you and your soon-to-be spouse to ensure that some semblance of structure remains in your children’s lives, and that they feel loved and accepted by both parents before and after the proceedings. 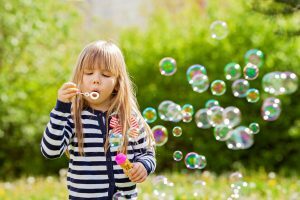 In addition to the physical and emotional wellbeing of your children, it is also important to remember that your kids will need time to be kids. Many times, children are drawn into the adult issues that prompt a separation or divorce, and this can be harmful to their psychological development. It is very important that children are not burdened with situations or issues that are beyond their control and, regardless of their age, children should never be asked to deal with adult issues or serve as a counselor for their parents. Kids need time to be kids, and remembering this while you are divorcing is essential for their development and wellbeing. Are you a resident of the Tucson area who’s looking for a reputable divorce attorney to help you with your case? Attorney John Dorris and his team of legal professionals is here for you during your time of need. For a free consultation and review of your case, call our office at 520-622-4866 today.